Hello, hello! Long time no speak, wowee I have a lot to catch you all up on - most importantly, I'm now officially married! 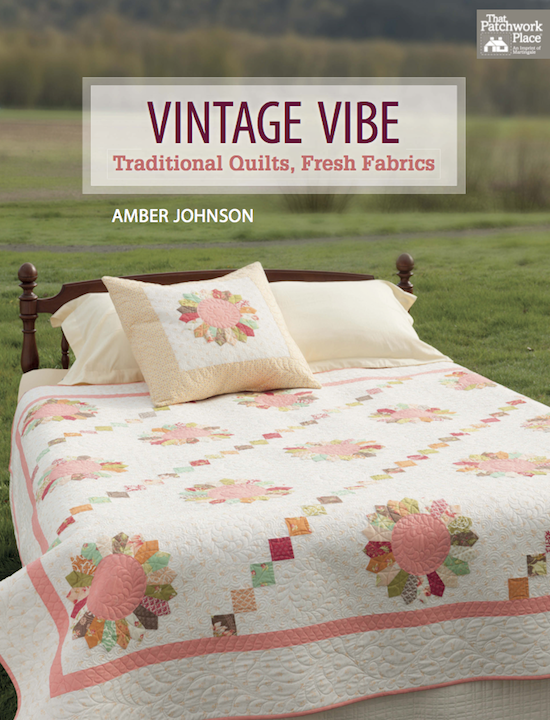 More on that soon ;-) As today is all about Amber Johnson's new book 'Vintage Vibe', now of course the title grabbed my attention immediately. 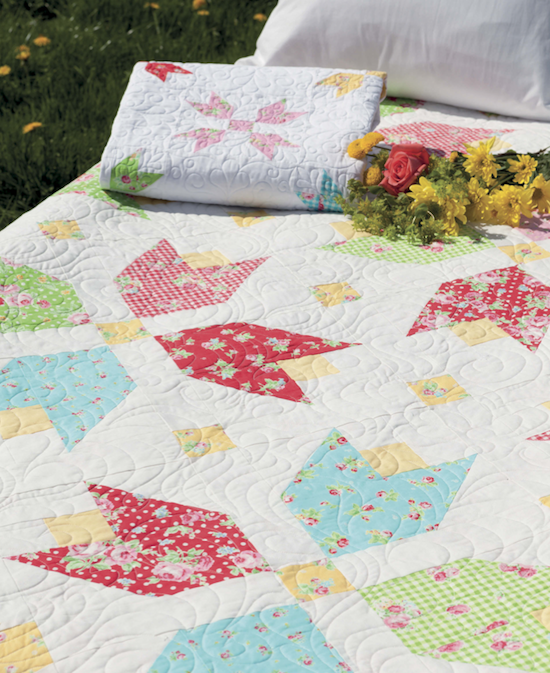 … and then that gorgeous cover quilt. "Traditional quilts, fresh fabrics", sounds perfect right? Agreed. You probably follow Amber's blog already, like I do. I'm pretty sure she was one of the first quilting blogs I followed all those years ago? Maybe you follow her on Instagram as well, I do! Although for some reason I hadn't quite put to and to together and realised it was Amber from the blog!? until more recently, doh!! Sorry Amber! Back to the book ... 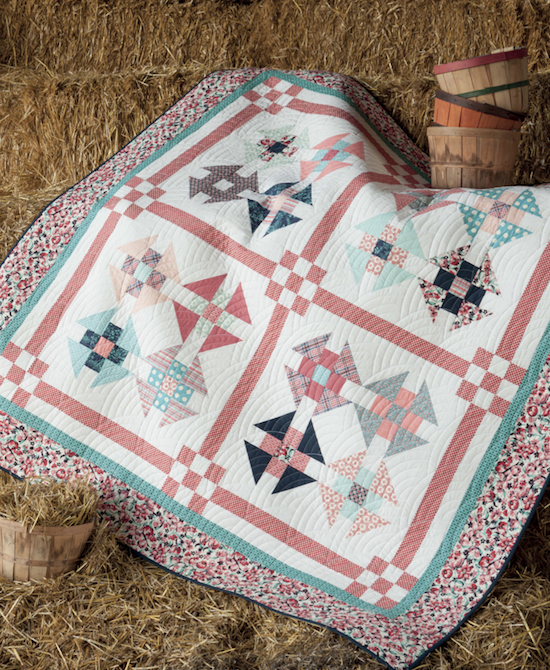 There are 14 quilts to make in the book; everything from a traditional flying geese quilt with a unique twist, to a super-sized quilt block ideal for baby quilts, to beautiful Dresden Plate's and charming appliqué and more. Amber says the projects marry's modern, fresh designs with vintage undertones. They all give a little nod to the past, whether in the fabrics, the design, or the quilting itself. They really do, and the quilting for each quilt is perfect too. My favourite project from the book is the Rainy Day table runner, I instantly fell in love with those raindrop shapes, and I've been itching to try out some appliqué for so long. The styling for the project is just perfect too, propped in the hay bails with the jams and preserve's made me think of classic American country kitchens so I pulled out some small scale, vintage style floral prints and got to work! First block done! aaaaand I'm planning on finishing this one too! It's so cute, and I'm dying to have it in my kitchen! 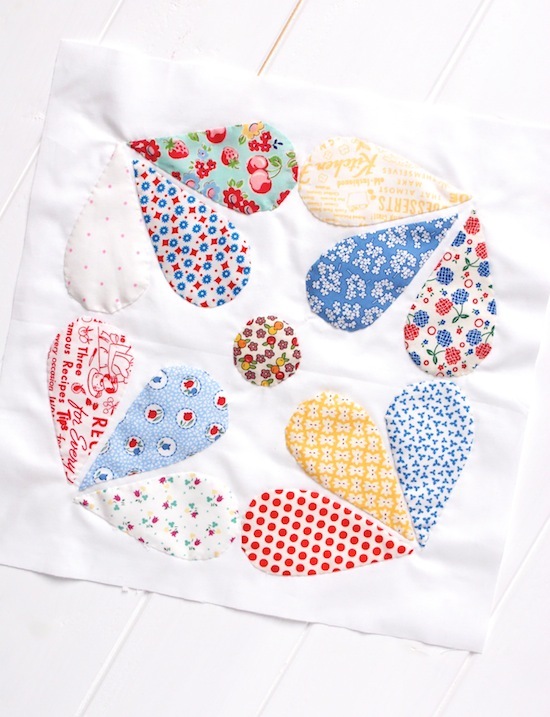 If you're new to appliqué, or quilting in general you can most definitely complete these projects. Amber has a great in-depth guide on quilt-making basics at the back of the book, and each project has clear step-by-step instructions. I found the appliqué information invaluable. You can purchase this fabulous book here. Be sure to follow along on the blog tour as each blogger will be highlighting a different project so you can get a good feel for the book. Martingale, the publishers of the book are kindly offering a FREE e-copy to one reader! Just leave a comment on this post telling me …. "How many WIP's do you have going on at the moment?" At least 10! I can't seem to stop, starting projects. Haha Thanks for the chance to win! If you are asking how many WIP's in my head, well - too many to count. On my sewing table - 18 Christmas snack mats (mug rugs) and a Christmas Wall Hanging! Those 'clock hands' have a much faster speed when I am in my sewing room :)! Do I have to tell the truth! Well, 6-7 that I know of. Amber always has great style. Looks like a fabulous book! I have at least 10 WIPs ! Over 20 wips, with 3 to finish by the holidays. I only have BOM wips, working on more than one project at a time makes me nervous, and actually BOM's in general make me a nervous wreck, I am so afraid to make a cutting mistake without have a fabric back-up! Congratulations on your wedding! 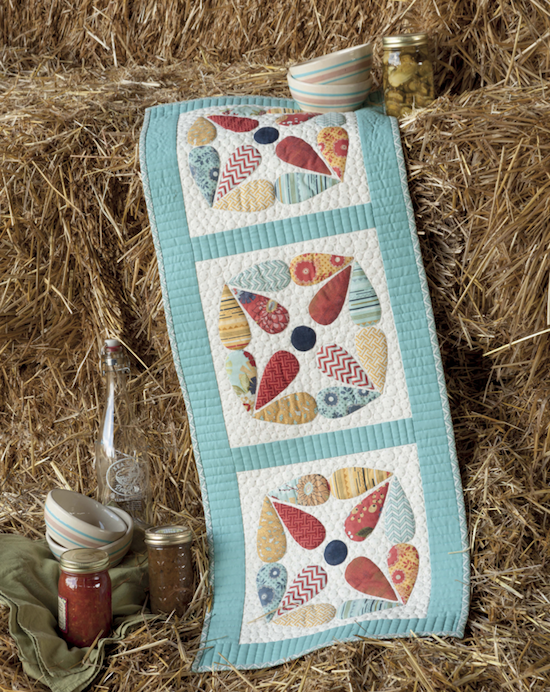 I love vintage fabrics and quilts and this book looks great! Thanks for the opportunity to win a copy. I can't even begin to count how many UFO's I have--probably more than 20. I have the attention span of a gnat! Oh my!! Right now???? Arrrgh! "Christmas Busie's" have invaded my Sewin' Room! lol Has to be at least 14 sewing projects going on, and two crochet projects going, and a few Embroidery things too! Whew! I have at least 10 WIPs...I get bored or need to locate a border fabric or another missing piece for the project! I have 3 quilting WIP and 6 crocheted WIP. Oh my I need to get busy! I love your blog and congrats on your marriage. I have 4 soft sculptures, 2 embroideries and 1 crochet project going on at the moment, I just finished 11 pieces of jewellery yesterday, plus a long list of new projects to start! I have just count 6, and more in preparation, so I think I need time off to finish off some of them. I have 5 WIP - all for the holidays! thank you for the review and giveaway! Right now I have 2 WIP's. Thanks. HI, I have just 2 WIP's right now! I do baby charity quilts, so usually give them away as quickly as I finish them! Thanks for sharing a great giveaway! I think I am finally down to about 8. Thanks. I love love love your block Jessie!!! Your fabric choices always inspire me and have that Vintage Vibe! 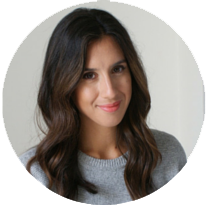 That's why I was so hoping you would join the blog tour! Thanks so much for participating and all the love! Cute block! I have 3 in process right now. Thanks for the giveaway. I've got about 11 going right now! Two in the aging cupboard and two being worked on...someday they will get done or maybe not. 3 WIPs, which is very good for me!! I think I have 4 WIPs - but I should probably call them UFOs. I'm not working on any of them at the moment. Baby takes priority. Congrats Mrs (ex-Fincham)! I've 4 WIP's, two of which are Christmas themed. Better get a shake on before it's Christmas 2015. I've a crib quilt which is about to have the quilt label added so it can be given to the new budge who arrived this week and before she reaches school age. Thanks for the opportunity - just love vintage style fabrics and projects. Beautiful work! I have 4-5 WIP's....working through them before Christmas and some birthdays! Currently I have 6 WIPs in process for Christmas. Many more in the line up for after the holidays. Oh boy - not sure if I should tell! Actually only 2 in-progress, but many more waiting to be started! I generally finish my projects except those that I don't like so well. I have a few of those that have been languishing for years. Then there are about 4 I'm actually working on. 12, plus 1 or 2 more in the interest of honesty. I need to get moving. ThNks for the chance to win the ebook it looks terrific! This looks like a fantastic book. Thanks for the chance to win it. I think I have about 10 WIP's, but I didn't count so there may be just a few more. Probably 10 but 3 are just an hour or so from being finished! I have 2 on the go. I try to finish one project before I start another- the operative word is 'try' :) thanks for the giveaway! I'm guessing at least a dozen with a dozen more waiting in the wings...looks like I would just finish ONE before starting another!! Five or six. Doh...and I said I never would do that. At least I am in good company! Oh, my. I have no idea and secretly I don't want to know. Gosh, do I have to! Ok deep breath, 5, there not too bad but do you count "I've bought the fabric but not started the quilt yet" Cupboards are full! I've been quilting for many, many years. I have 4-5 currently being worked on but many more, perhaps forty UFOs. Oh mercy, how many WIPS! I think it is about 28 or 30, not counting small things like Christmas ornaments! I would have to say that I have at least 10-15 WIP's in different stages around the house. I am guessing at this number. I kind of hate to go track them all down and actually count them. Just a beginner but I already have 3 projects in the works and furiously building my stash! I have about 4 WIPs right now. I better get off the computer! I hava more projects in the works than I can count. I sure there are over 50. I love this book!!! I have so many works in progress that it's kind of a shame. But a lot of them are finished blocks ready to be put together or quilt tops ready to go to the quilter. Too many! Numerous Tops Ready For quilting. About the same number of boxes with projects in various stages of incompleteness. I have about 50-55 quilt tops waiting for backings to be made and for me to quilt them. I have 5 quilts-to-be in various stages of gestation! Of course, I can't wait to make more!!! I don't have many WIPS -- I think 4. I'm pretty slow and don't have much time, so it's hard to make quick progress. Luckily, I like my projects still! I have at least 6 going on now, but that doesn't really include little piles of blocks from my local quilt shop's $5 blocks! Gotta get on the stick here! !